Bolton’s credibility in pursuing that agenda seemed to crumble in Ankara before a notable snubbing by Turkish President RecepTayyip Erdoğan on January 8. The national security advisor had to make do with a meeting with Erdoğan’s senior advisor, Ibrahim Kalin. 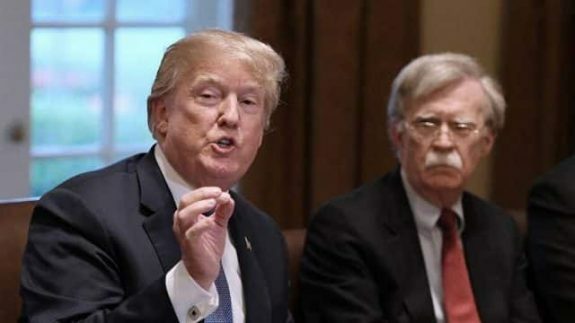 Bolton was not one the Turkish leader particularly wanted to see in light of his comments that Turkey not harm members of the Kurdish Syrian militias in the aftermath of the US withdrawal. Such views also fly in the face of Turkey’s self-appointed role as an agent of influence in the region. An absent Washington is simply too good a chance to press home the advantage, and Ankara is bound to capitalise. Daft, can be Bolton, who sees himself as a true appraiser of the international relations system when he is disabled by presumption. The Turks may, in time, hand Washington another bloody lesson of retribution showing that basic, keen hatreds in historical dramasare far more significant than sophisticated notions of self-interest. The presence of US troops in Syria will no doubt be reclassified, withdrawal by which any other name would be as confusing. The Kurds will have to chew over their options with the sort of cautionnursed by a history of promise followed by abandonment. Be wary of the expendable ones. I just realised, in a strange sort of way, that 1982’s satirical “Whoops Apocalypse” https://www.youtube.com/watch?v=1D5q1ZyMpFo is almost relevant to what’s happening at this juncture in time. Change a few of the characters names and it’s The Donald, Putin, May and her Brexit debacle among other things. It’s also still one of the funniest pieces of political satire I’ve seen in years. Bolton is like Hillary – and needs to be read more of as an Israeli firster. They don’t really care about the Kurds. In fact the whole war against Syria was more about Israel than anything else. The most likely outcome is for the Kurds in Syria to remain part of Syria though with some level of autonomy. Never managed to catch this series before. Thanks for link. Have watched first episode.